The new five rate Scottish tax system has thrown up some problems since it was introduced, this time it’s a twist in the way that Marriage Allowance works. Some people will lose, whilst others will gain, but how can you work out which group you’re in? Brona MacDougall takes a closer look. As you will be aware, Scotland’s new system of income tax rates and bands came into force in April 2018. Until then, Holyrood had matched the structure of the tax system in the rest of the UK, with three bands – a basic rate at 20%, a higher rate at 40% and a 45% top rate. The new Scottish system has also introduced a 19% starter rate for those on low incomes, as well as a 21% rate for those who earn above the median salary. It has also added a penny to the higher and top rates, bringing them to 41% and 46% respectively. The Marriage Allowance (MA) allows one spouse or civil partner to transfer up to 10% of their personal tax-free allowance (PA) to the other to save tax. Broadly speaking, claiming the MA is worthwhile where one spouse isn’t liable to tax, or is liable at 0% (this might sound like the same thing, but the difference is important), whilst the other pays tax at the basic rate. If the other spouse pays tax at the higher rate the MA can’t be claimed. The transferee spouse can claim tax relief at 20% on the allowance received from their spouse, which would otherwise be wasted. Scottish taxpayer – Winner or Loser? Since the 6th April 2018, the UK basic tax rate of 20% doesn’t apply to Scottish taxpayers. But despite this, in May HMRC confirmed that the same rate of relief (20%) for the MA will continue to apply to taxpayers in Scotland, rather than at the equivalent Scottish starter and intermediate rates of 19% or 21% respectively. The bad news for Scottish taxpayers is that fewer people will be eligible for MA because the higher rate threshold kicks in at a lower income than it does in the rest of the UK. So, if you pay Scottish income tax at a higher rate, you could be one of the losers in the Marriage Allowance calculator. If you have a lot of savings and dividend income, you might still be an MA winner. Even as a Scottish taxpayer the UK rates and rate bands still apply to your savings and dividend income. However, HMRC’s MA calculator doesn’t fully take account of nil rate bands on savings and dividend income and so isn’t accurate, whether you’re in Scotland or elsewhere in the UK. A word of caution, HMRC’s calculator oversimplifies how the MA works by assuming that if both spouses’ income exceeds the Personal Allowance PA (£11,850) the MA won’t be advantageous. This ignores that savings income may fall within the savings allowance nil rate band, the savings starter rate (also a 0% rate band) or the nil rate band for dividend income. Even if your income is significantly above £11,850, but includes savings and dividend income, you might still be eligible to use the MA. If your income is within 10% of the PA, you may pay more tax by making a claim for MA. The closer together you and your spouse’s income is, the more likely it is to be a problem. Where both partners’ incomes are within about 10% of PA, the overall tax bill may be increased by the MA transfer (lower earner over £10,660 and higher earner under £13,040). In Scotland, the spouse giving up PA stands to pay tax at 19%, but the gaining spouse saves tax at 20%. So, Scots win here but not by very much! If you have a lot of savings or dividend income, don’t rely on HMRC’s calculator to decide if claiming the Marriage Allowance will be advantageous or even possible. As a Scottish rate taxpayer, remember that the usual UK rates apply to income other than earnings. 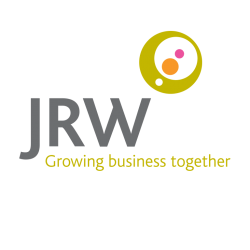 As you will see the implications of the Marriage Allowance for Scottish taxpayers are not straightforward, we hope that you have found this article helpful but if you would like advice on how it might affect you and your individual circumstances, then please get in touch with one of the team at JRW.